The yearlong series at UC Riverside will feature scientists, policy analysts and futurists. RIVERSIDE, Calif. – A yearlong series of lectures that address various aspects of sustainability continues on Tuesday, Jan. 24, with a discussion of water resources at 2:15 p.m. in Interdisciplinary Building 1113. Ariel Dinar, professor of environmental economics and policy and director of the Water Science and Policy Center, will discuss “Can Water Resources be Manages Sustainably?” All lectures in the series are free and open to the public. Parking costs $6. The lecture series is presented by the UCR College of Humanities, Arts and Social Sciences, which selects an annual theme around which to focus courses, events and activities for first-year students enrolled in the CHASS F1RST program. It will focus on environmental issues and budget issues, said Geoff Cohen, CHASS F1RST coordinator. 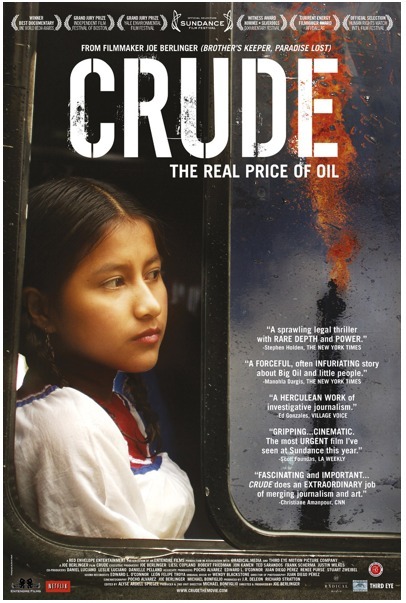 The second presentation of the quarter will be a screening of the film “Crude” on Feb. 21 at 7 p.m. in Interdisciplinary 1128. The documentary film tells the story of a lawsuit by thousands of Ecuadorans against Chevron over contamination of the Amazon River in Ecuador. Freya Schiwy, associate professor of media and cultural studies, will introduce the film and lead a discussion afterward. The final lecture of the winter quarter – “Squaring the Circle: The Sustainable Wealth of Public Space,” by Mike Davis, distinguished professor of creative writing – will be presented on Feb. 28 at 4:10 p.m. in Interdisciplinary 1113. The series will continue in the spring quarter. CHASS F1RST is designed to help freshmen be successful and includes significant interaction with faculty, personalized advising and peer mentorship; gateway lectures that help first-year students transition from high school to college through a unique introduction to intellectual discussion in courses focused around a central theme; and first-year learning communities. For more information contact Geoff Cohen at geoff.cohen@ucr.edu.